¡¡¡: Vaadin and Grails, part II., "What is in the package?" 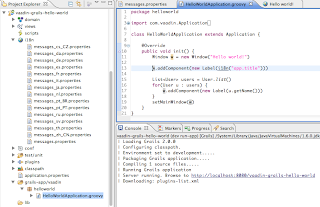 Vaadin and Grails, part II., "What is in the package?" 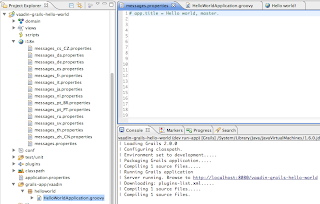 Let's have a look at what makes mixture of Grails and Vaadin so great tool that one should use it. We don't need these two features of Grails - "View layer in Groovy Server Pages" and "Controller layer built on Spring MVC" when using Vaadin. Both of these features are replaced by Vaadin components and listener pattern. Let's have a look at how the remaining features are used together with Vaadin and how to benefit from that. 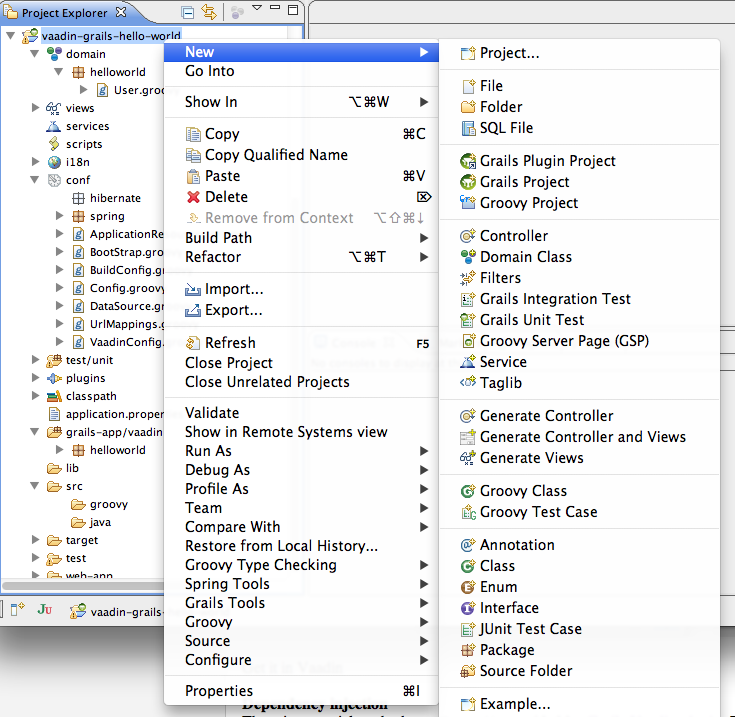 run application or tests in different environments simply just by typing dev run-app or test run-app or test test-app. So we can use different databases, test data or whatever we want to in certain stages of development process. ... and many others. Here is more info about command line. Well, we just change a code, save the files, refresh a page and that is it. No server restarts needed. We can see the changes immediately. 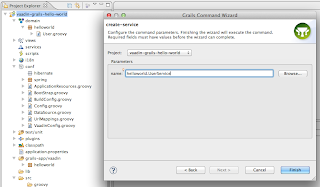 Also, tomcat is provided as a grails plugin. So when we want to upgrade a new version of tomcat, we just upgrade the plugin and the compatibility with grails comes really easily. There is i18n() method available in all Vaadin classes which makes localization pretty easy. We just type i18n("app.title") in your Vaadin code. Then you should create a record in i18n properties files. And we are done. Just start the application by typing dev run-app into the command line or refresh the page in case your application is already running. If the message doesn't exist the key in square brackets is returned (e.g. [app.title]). It is pretty useful when you don't want to make localizations immediately when producing a code. 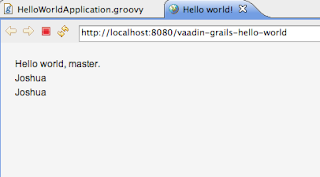 I have mentioned how to setup working Grails & Vaadin application with access to database in this post. We can use all the GORM features without limitations. What is this service layer about? 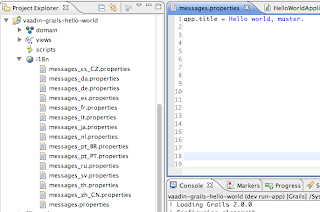 Grails services should contain logic of the application, which means that the logic should not be placed in Vaadin code (e.g. listeners). We also get transactional behavior inside our services. 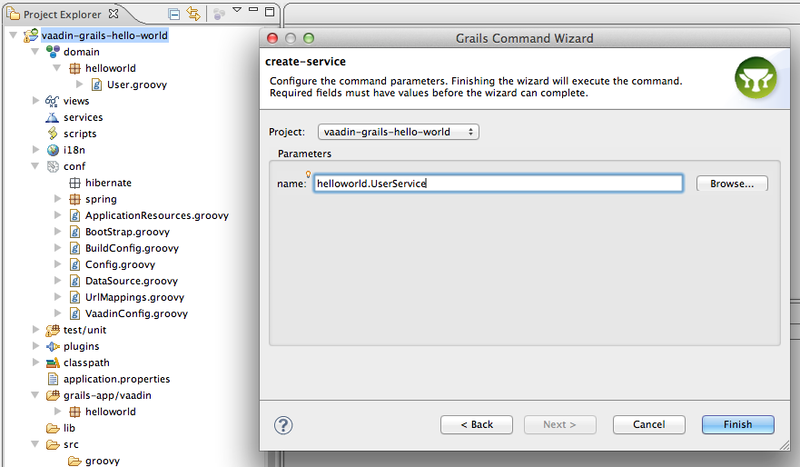 Grails services are providing quite many features, please study that from official tutorial. It is as easy as to create a persistent domain class. Let's just create a service for a user (called helloworld.UserService). 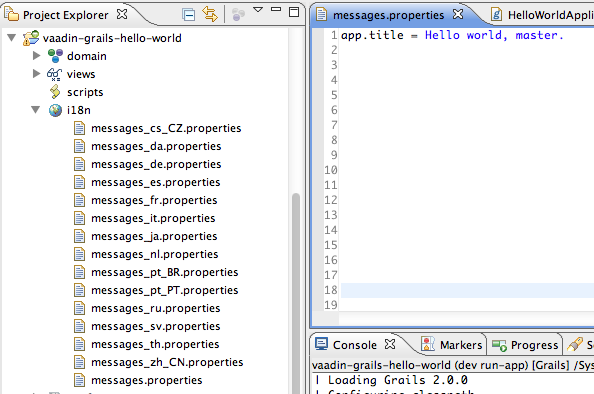 So, everything is ready and we can get and use the service in Vaadin code. Let's rename all the users to Joshua. 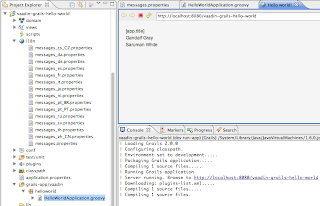 There is a special method getBean() provided by Grails Vaadin plugin. 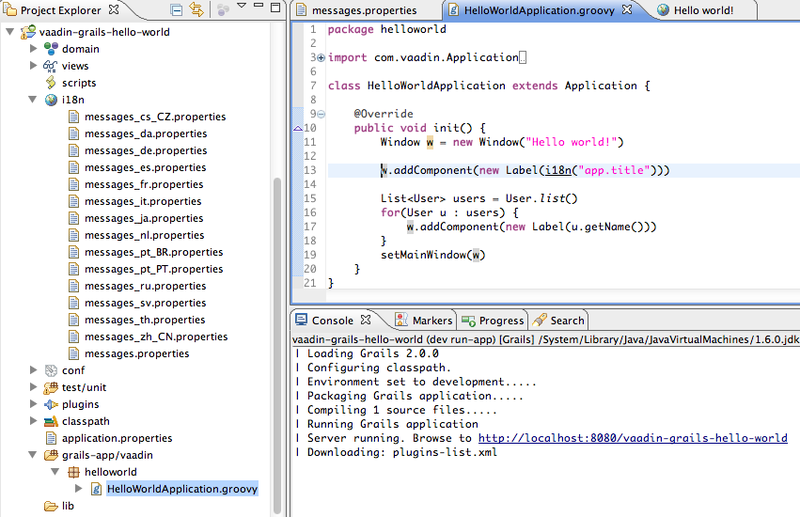 This method is accessible in all the Vaadin classes (assuming they are located in grails-app/vaadin). 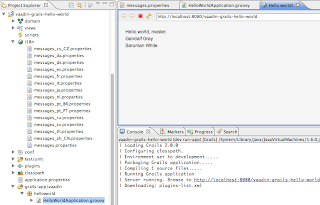 getBean() method gets a dependency from the Spring ApplicationContext. Obtaining the references is extremely fast and serialization-safe because the references are cached and Spring takes care abou that. Well, how to use it in practice? We have to call getBean() always when we want to get a service. This approach is going to avoid strong references to usually stateless service implementations. 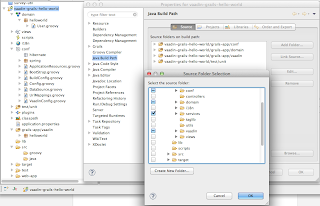 Ultimate application to validate, clean and format JSON, XML, SQL, HTML. Thanks for creating the great plugin and writing the great post. 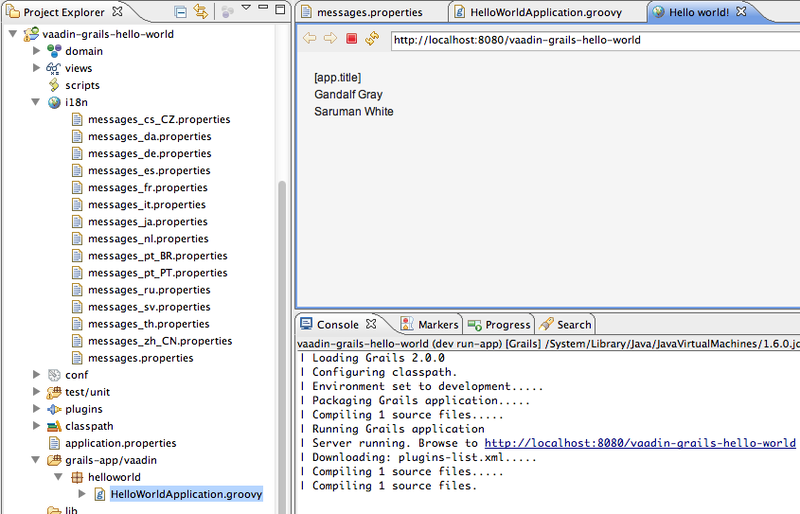 please go to: http://grails.org/plugin/vaadin and read chapter Spring Dependencies. Most interesting part is called "Reason 2". You will learn how and mainly why service dependencies work via getBean method. Did you come across Spring Stuff add-on at https://vaadin.com/directory#addon/spring-stuff ? I not sure whether it solved the issues you mentioned in "Reason 2" though. @Lim, thanks for recommendation, I will check that. Thanks Ondrej (Diky Ondreji) for great tutorial. 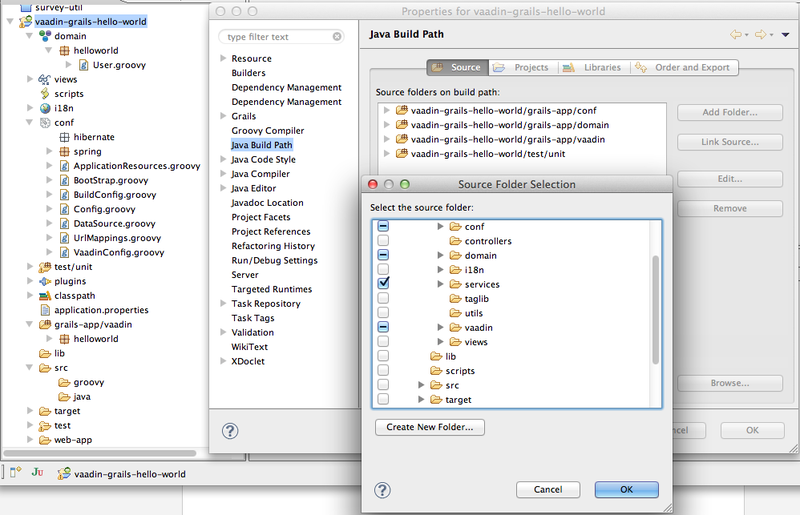 I have a Grails application that I would like to convert to Vaadin/Grails application with your great Grails Vaadin plugin. 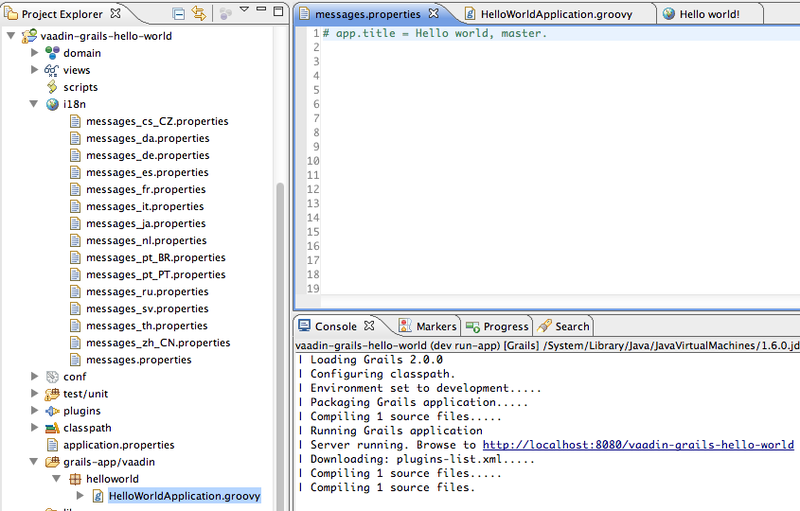 The application uses Spring Security plugin http://grails.org/plugin/spring-security-core. Do you have any advise/recommendation how to integrate Spring Security and Vaadin authentication https://vaadin.com/wiki/-/wiki/Main/Authenticating+Vaadin-based+applications. 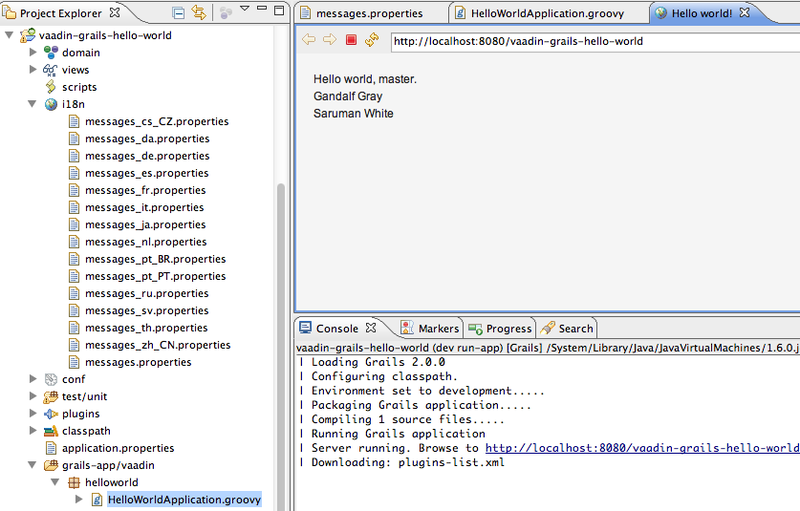 And if I can be bold enough ;-) and ask for tutorial, Part III with authentication example ;-). Diky moc za vyborny plugin! Lubos, I can make tutorial how I authenticate grails/vaadin applications. I added that to my todo list.